The Supreme Leader of the Democratic People’s Republic of Korea (North Korea) Kim Jong-un (above). The administration of US President Donald Trump hopes that Kim Jong-un sincerely desires peace and are genuinely committed to diplomatic process on denuclearization. To nudge thinking in the right direction, efforts have been made to incentivize North Korea to change its economy to benefit the entire country and not just the elites. Reaching a decision on whether to stay on this new path with the US weighs very heavily upon Kim, now ensconced in Pyongyang. Trump appears to reasonably quantify continued progress by the fact that there have not been any North Korean missile or nuclear tests in recent months. Still, although the halt to these tests is a welcome sign, North Korea has made little progress toward “total denuclearization.” Critics as well as some very capable military and foreign policy analysts posit that Kim had no intention of keeping his promise on denuclearization, and has set out to deceive the Trump administration and the rest of world, much as his father and grandfather misled previous US administrations. One cannot be certain that Kim will stay the course and effectuate denuclearization. Using logic and reason, one cannot not know what exactly is on Kim’s mind, know what lies within his heart. What might be inferred from all that is known about Kim is that one would make a huge mistake in placing complete faith in him. While an opportunity has been presented to Kim, he may become froward and revert to old ways or simply retract having been confronted with prospect of such great change. Concerning the former, certainly, the US must not underestimate Kim’s maliciousness and subterfuge. He is following the same strategy deployed by his father and grandfather but with a bigger ambition. Unlike his father and grandfather, Kim will not be satisfied with temporary economic relief through negotiations. He has visited China three times so far this year. Regarding the latter, a retrenchment or retreat by Kim might not be impelled by aggressive thinking or some recurvation programmed into the plan for engagement with US on denuclearization. As important to the process of achieving denuclearization are the personal concerns and feelings about the change. If Kim is not psychologically ready to move forward, the process may breakdown. Protecting his own sense of being, self-image, self-worth, Kim may reject all that is before him. That would consequently cause great pain and harm for himself and the North Korean people. 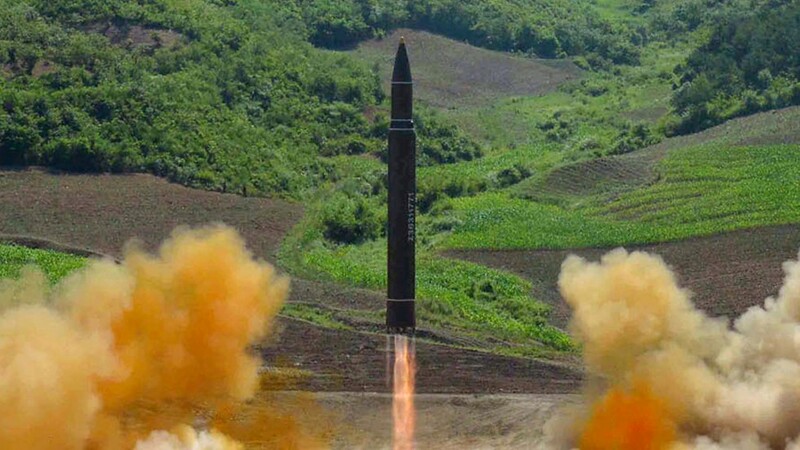 A North Korean Hwasong-14 intercontinental ballistic missile (above). Military analysts estimate that North Korea possesses an arsenal of 30-60 nuclear weapons. Having successfully tested several intercontinental ballistic missiles (ICBMs) in 2017, North Korea poses a security threat not only to US allies, such as South Korea and Japan, but also to the Continental US. More so, there is concern in the US that North Korea’s may soon construct thermonuclear warhead tipped ICBMs. The Trump administration has absolutely no intention of allowing North Korea retain such an arsenal or add to it. Now away from the grandeur, the luster, the celebrity, and the energy of the Singapore Summit, and the persuasive Trump, Kim seems to be leaning into his own thinking, He may not have a sense that he must even be honor bound by culture to remain obedient to the terms of the agreement with Trump and act consistently in line with them. Kim may no longer have the same sense of trust in Trump. After taking one step away from the intent of the agreement in Singapore, each step becomes easier. One can also usually find ample reasons to do the wrong thing. Kim would be comfortable in the end for the reason it was standard behavior of North Korea. A challenge for the Trump administration from the start has been to satisfactorily reconcile the diplomatic Kim, the open-minded Kim, with concomitant enormities of his authoritarian reign of North Korea. Washington must keep in mind that Kim is a tyrant, ruling with an iron fist. That observation is not outdated. Recent actions concerning the nuclear program or expressions that disparage the US and US officials, have certainly raised greater concern over Kim’s intentions. Goading the US, snuffing out the positive spirit the remains from Singapore might be an awkward exit strategy from the denuclearization matter. However, Washington has not shown any interest in engaging in a volley of insults with Pyongyang much as a ball in some tennis tournament. The focus of both parties must be diplomacy.There is no desire by the Trump administration to demonstrate superiority over countries by moving forward consistently along a narrow path of attitude and behavior. Washington will not lower itself to the long-practiced tactics of diversion of Pyongyang. Pyongyang will need to rise to the occasion. Beyond verbiage, there have also been disappointments stemming from actions and inaction by Pyongyang. Imagery analysis of satellite photos indicate Pyongyang has rushed to make improvements to the infrastructure of the Yongbyon Nuclear Scientific Research Center, and enriched uranium production for nuclear weapons has increased. The South Korea’s military has collected information indicating that Pyongyang may be developing a new submarine capable of launching nuclear-armed ballistic missiles. North Korea indicated that it would conduct its annual summer military exercise without regard for Trump’s gesture of goodwill in halting a planned joint US and South Korean military exercise. Further, Kim promised the immediate repatriation of identified remains of US POWs in Singapore, but without explanation, Pyongyang has been slow to act. The Defense Department, however, has had to display great patience in the face of the inexplicable deliberate pace taken by Pyongyang on the return of remains. Additionally, North Korea’s handling of Pompeo’s July 6, 2018 visit to Pyongyang was graceless and inelegant. Critics took it as another troubling sign. Pompeo and his team were not provided a schedule of meetings. They were not told in which hotel they would stay. They were never provided a definitive answer on whether they would meet Kim, and in the end, they did not. Pompeo pressed his North Korea counterpart Kim Yong-chol on concrete steps toward denuclearization, but it is unclear whether any were provided. After the visit, Pyongyang played the role of a fretful and peevish innocent party emotionally injured by the stern Pompeo and publicly attacked the US for making “gangster like” demands. Critics say Pyongyang has displayed this pattern of obfuscation too many times in the last three decades. It has been sardonically called “business as usual” with Pyongyang. Every administration since that of US President Bill Clinton has publicly expressed the belief that it could better handle North Korea than the previous one, and some special deal could be reached to curb or bring down its nuclear program. Yet, they all ended up formulating and implementing unsatisfactory approaches the results of which were being misled the regime. To an extent, Pyongyang developed a record of success in dealing with the US, while the US would walk away with only frustration. Even now, North Korea continues its steadfast march toward becoming an undeniable nuclear power. However, the administration will not moan over the past and recent maladroit and tactless actions. There is the possibility that Kim agreed to talk to Trump as part of nefarious plan to convince the Seoul that his country’s purpose is peaceful. Success for Kim with such a deceitful purpose would be a unilateral decision by South Korea to halt their participation in US-led military exercises. Even better for him would be a request in the near future by South Korea for partial, substantial, or the complete withdrawal of US forces from their country before or simultaneous with an agreement to dismantle North Korea’s nuclear weapon and missile programs. If Kim Had a Nefarious Plan for Singapore, It May Have Been Trumped by Trump! The renowned ancient Greek philosopher and scientist, Aristotle, is quoted as saying: “It is the mark of an educated man to be able to entertain a thought without accepting it.” It is possible that self-conceit closed Kim’s mind to whatever was said. In believing that he already knew what Trump would say would have served as an effective buffer to Trump’s comments and explanations. Indeed, Kim may have arrived in Singapore as a man on a mission, believing that he could shape events on the Korean Peninsula in his way. Before the talks began, Kim took affirmative steps in support of engagement with the US to include a superficial charm offensive in which he was presented as an exponent of denuclearization, unification, and peace. He sought to prove that he no longer the source of dread and terror in Northeast Asia, the Continental US, and everything in between. However, he had already shown enough of his hand to sufficiently convince Trump that his intentions were potentially nefarious. Yet, Trump also likely saw that Kim was facing a dire situation, and wanted to allow him some room to gravitate toward a new tact more satisfying for the US. If everything goes Trump’s way, North Korea will scrap its nuclear weapons and missile programs in a timely manner. Believing that he could shape events on the Korean Peninsula in his way, Kim, before the Singapore talks began, took affirmative steps in support of engagement with the US to include a superficial charm offensive in which he was presented as an exponent of denuclearization, unification, and peace. He sought to prove that he no longer the source of dread and terror in Northeast Asia, the Continental US, and everything in between. However, he had already shown enough of his hand to sufficiently convince Trump that his intentions were potentially nefarious. Culture shock is the feeling of disorientation experienced by someone when they are suddenly thrust into an unfamiliar culture or way of life. The possibility that Kim may have had a bout with culture shock while moving through Singapore should not be discounted. Certainly Kim is familiar with the world outside of North Korea, reportedly having attended the private English-language International School in Gümligen near Bern, Switzerland from 1993 to 1998. It was also reported that Kim attended the Liebefeld Steinhölzli state school in Köniz near Bern under an assumed name from 1998 until 2000. However, Singapore is not a European country. Singapore is one of the four economic tigers of Asia that have consistently maintained high levels of economic growth since the 1960s. That growth was impelled by exports and rapid industrialization. The other tigers include South Korea, Taiwan, and Hong Kong. In Singapore, Kim saw what a small Asian country could achieve by successfully marshalled the energies of its people to create was the site. It was his dream for North Korea. He undoubtedly though how much he wanted it and despite keeping his mind on the revolutionary path, wondered whether there might be a real possibility of guiding his country to such economic height by working with the US and international community. Perhaps while in Singapore, he may have considered putting aside any potential nefarious plans and playing things by ear. Indeed, whatever part of Pyongyang’s effort was superficial had to make way for what was authentic: the promise of a bright future for North Korea. The Singapore talks were marked by the very apparent graciousness and humanism displayed by Trump. Even for the most skeptical, the interaction would have been intoxicating. Trump may be difficult for foreign capitals to discern perhaps because there is also the background noise of critics with their varying levels hostility. Among the many things that dissatify them about Trump is the fact that his approach to nearly everything is not business as usual: decision making based on political expediency. A heavy dose of realism is typically injected into his exchanges. Whatever follow-on steps that are agreed upon will be concrete. 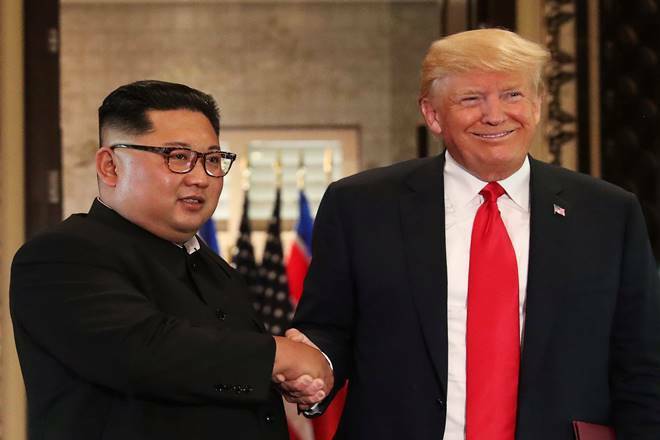 It is very likely that even after Singapore, the event lingered in Kim’s psyche, leaving him a condition different from the time before the summit. His old habits and faculties have likely been effected by the event. It is Kim’s choice to either entertain and perhaps pursue all of the new considerations or shun what transpired, erase all traces of it or setting the matter off to the side while proceeding in his ways. Nevertheless, there was little doubt for Trump, who actually negotiated directly with Kim, that Kim understood his exposition in Singapore. After having opened the eyes of Kim and officials in Pyongyang to the opportunity put before them, a satisfactory, inviting gateway must be created for them to cross through to a new reality, on both nuclear weapons and their country’s future. Although ongoing sanctions are also an incentive and helped get the diplomatic process started, a far more positive way is needed to push Pyongyang up and out from depths in which it has put itself. Trump has apparently reasoned out what course the process will take. Reportedly, he accepted that he needed to be somewhat patient and act intently, with diligence, which naturally mean taking time to make certain things are correct. Trump has an understanding of human nature, and even sympathy for human frailty. He can project empathy. One of Trump’s greatest strengths is his capacity for listening. Indeed, Trump, via the summit, successfully interviewed Kim. From what he heard and did not hear in their one-on-one session, Trump feels that he better understands Kim’s thinking and intentions. After committing to being patient, a diligent person expects receive fruit from their efforts. Hasty people may receive something transitory, but likely unsatisfactory for the long term. The state of North Korea’s economy has been atrocious for some time, but it was made several ticks worst once sanctions killed most of its foreign trade. North Korea’s economy necessarily loomed large in the negotiations. Some consideration had to be given to what would happen after sanctions were removed and the subject of the country’s greatest investment had been scrapped. Benefits that would come Kim’s way once denuclearization was complete.were dangled before him to make taking the path to denuclearization more attractive. The state of North Korea’s economy has been atrocious for some time, but it was made several ticks on the meter worst once sanctions killed most of its foreign trade. North Korea’s economy necessarily loomed large in the negotiations. Some consideration had to be given to what would happen after sanctions were removed and the subject of the country’s greatest investment had been scrapped. Benefits that would come Kim’s way once denuclearization was complete.were dangled before him to make taking the path to denuclearization more attractive. There was even a short video presentation prepared to support that cause. Trump and administration officials indicated that US companies could come to North Korea en masse if relations between the countries improve. Reportedly, at their first summit on April 27, 2018, the South Korean President gave Kim a USB stick that held plans for robust infrastructure investments and a list of South Korean companies that would like to benefit from a de-escalation of tensions. As mentioned earlier, Kim reportedly would like to develop North Korea’s economy. 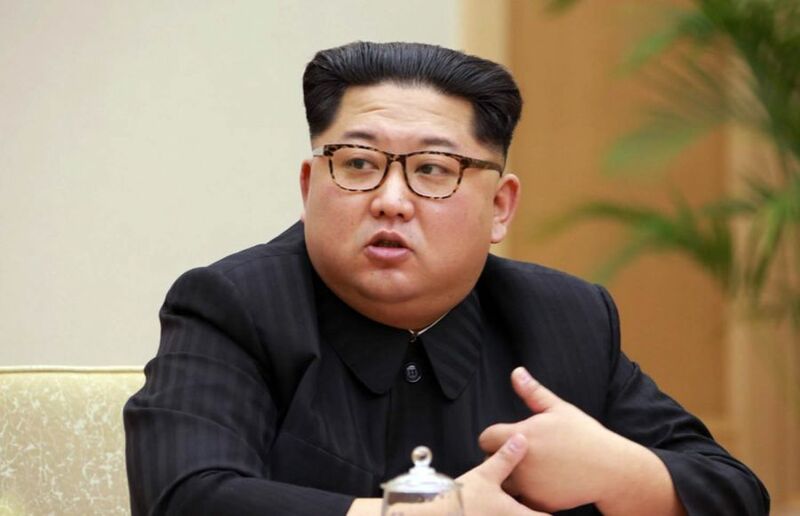 He stated in 2012 that the North Korean people should “never have to tighten [their] belts again,” and the following year, he launched the “byungjin strategy” for the parallel development of the national economy and nuclear weapons, with equal importance. 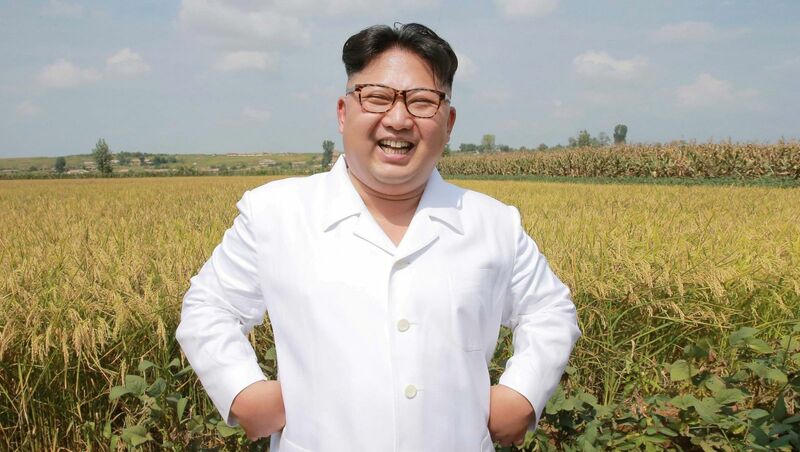 Less publicized in the Western news media than the country’s other aspects, Kim’s tenure has seen North Korea’s semi-private market system grow, further experimentation in agricultural management explored, and state-owned enterprises have been granted unprecedented liberties in production planning. Clearly, Kim Jong-un has invested himself and considerable wherewithal into improving economic conditions. On April 20, 2018, Kim declared that North Korea’s primary emphasis will be on economic development from that point onward as the nuclear deterrent was secure. The Trump administration has not missed the fact that exploiting Kim’s economic ambitions could give the diplomatic process a boost. Offering assistance for economic development and directing such assistance to spur the shift of a country in North Korea’s circumstances toward a more market-based economic system, is a tried and true course for the international community to take. Kim was selected by Kim Jong-il, his father, to be his successor as Supreme Leader of North Korea. The short-list of attributes of a national leader respective to North Korea, beyond loyalty to the Communist Workers’ Party of Korea would likely include: to organize the people under the tenets of Marxist-Leninism; promote the general welfare of the people within parameters set by the Workers’ Party of Korea; provide for the safety and security of the people; defend the country’s sovereign territory; and know the value of an iron fist. To the extent that Kim has even slightly deviated from that course, he has implemented some economic reforms as mentioned earlier. Nevertheless, he has essentially been piloting the country dead ahead on the course Kim Jong-il and Kim Il sung set it on. Kim hit the ground running upon becoming Supreme Leader. Countless North Korea government images showcase Kim performing his duties with what the Renaissance Italian soldier, diplomat, and courtier, Baldassare Castiglione in his 1528 work, Il Cortegiano (The Book of the Courtier), called “sprezzatura”, a certain nonchalance. It is easy to say that Kim is an educated man who should be able to easily see the benefits short and long term for North Korea once denuclearization is complete. However, reason is based on principle, not the prospect of economic development. Kim may indeed see the benefits of moving along the course set by Trump, but he may not have the moral foundation to know that it would be morally right to take that course. In his formative years, Kim also may not have been sufficiently inculcated with any ideas even in the spirit of Marxist-Leninism which would support a decision move off the set path, and boldly set a new course for his country. Even if Kim tried to capitalize on the opportunity to make things better in North Korea, he might be hindered by well-concealed doubts about his own abilities. He may fear falling short. Indeed, for Kim, the difficulty in engaging with the US to create systemic change in the country’s economic system would not be found in the work of implementing change. The difficulty might be wrapping his head around it all and moving forward with confidence. Kim may know better than anyone else that he will not end up being North Korea’s version of Deng Xiaoping. Kim will not throw caution to the wind. Kim is undoubtedly very aware of what happened in Russia economically with the help of “Western experts” after the fall of the Soviet Union. Furthermore, a complete trust in Trump hardly could have sprouted and blossomed exponentially in Kim during the Singapore meeting. Again as mentioned, some time has passed since Singapore and Kim is some distance away from it all. Any initial second-guessing about Trump could have morphed into considerable apprehension over the US president’s motives. Nestled in Pyongyang, even the mere mental process of drawing closer to the world that Trump presented at Singapore has required Kim to tear away from the only world he and his people have known. Just thinking about a transition in ways of doing things that might lead to the economic transformation of North Korea becomes less attractive and more difficult. Est enim quaedam etiam dolendi voluptas, praesertim si in amici sinu defleas, apud quem lacrimis tuis vel laus sit parata vel venia. (For there is a certain luxury in grief; especially when we pour out our sorrows in the bosom of a friend, who will approve, or, at least, pardon our tears.) It is difficult to say to whom Kim would turn that would genuinely support of move by him toward denuclearization. As noted by greatcharlie in a previous post, Kim apparently holds his sister, Kim Yo Jong, in high regard and seems to take counsel of her on occasions. She led a delegation of North Korean officials to the PyeongChang Winter Olympics. It is now apparent publicly that Vice Chairman of the Workers’ Party of Korea, Kim Yong-chol, is another North Korean official that Kim is willing to rely upon to some degree. He is a foreign policy doyen and sacred cow of the intelligence industry in North Korea, met with Pompeo in New York City for talks and then met with Trump in Washington, DC before the Singapore Summit, and the two have met since then. Although Kim Yong-chol’s main purpose may be to engage in high-level talks with the US and to advise Kim on the diplomatic process, he can also use his title, stature, and credibility to interface with the Workers’ Party of Korea and North Korean elites and create some semblance of transparency throughout the diplomatic process for those concerned in Pyongyang. Kim Yong-chol has also exploited the opportunity to better understand the Trump administration through direct contact and not the abstract. That being stated, neither Kim Yo Jong nor Kim Yong-chol appear able to comfortably or confidently, approach Kim and counsel him on denuclearization and economic reform. All leaders usually sense some degree of isolation at the top. That isolation can potentially be made even more strainful if there is no confidant for a leader to rely upon for honest, supportive counsel beyond the advisement of professional staff on areas of expertise. A leader in Kim’s position faces a particular type of isolation as advice and counsel will unlikely be offered to him freely in an effort to avoid the repercussions of angering him with some mistake. The best option left for Kim would be to turn inward. Uncertain of the outcome of grand steps in different directions, Kim may eventually take a default position, thereby finding his comfort zone. If he could conjure up a path that would only require a relatively small amount of change, it will provide him with some relief and garner praise from like-minded officials at the top of the food chain. It is very likely that after Singapore, the whole event lingered in Kim’s psyche, leaving him a condition different from the time before the summit. It is Kim’s choice to either entertain and perhaps pursue all of the new considerations or shun what transpired, erase all traces of it or setting the matter off to the side while proceeding with his old habits and faculties. Trump, who actually negotiated with Kim, had no doubt that the North Korean Supreme Leader fully understood his exposition in Singapore. Rationale enim animal est homo. (Man is a reasoning animal.) With many factors considered, there are a number of scenarios that can be imagined under which Kim might break away from the path of denuclearization. Here are three examples. In one scenario, Kim will maneuver to place North Korea on a path to economic success similar to that which China took. China is a Communist country with a strong economy. It has been accepted nuclear power by the international community. First, along the path China took, it developed its own nuclear capability and capacity. Second, it implemented limited economic reforms while engaging the rest of the world, especially the US through trade and investment, as a result of an opening agreed by Chinese Chairman Mao Tse-Tung and US President Richard Nixon. It was all done while maintaining a strict one-party rule and hard-line ideological control of Chinese people. In a second scenario, perhaps Kim recognizes that the type of success Kim really wants for North Korea is out of his reach, not by some fault of his own, but rather because the country’s problems are so grave and run too deep. Kim may be incapable of coming up with real answers that would put North Korea on real upward trajectory using all of the tools available to him. In a significant endeavor, there is always the potential to become lost. To that extent, consciously or unconsciously, Kim may simply be procrastinating. Of course, there are those who would follow him no matter what. Kim knows better than anyone else just how bad things have been in North Korea. It may be to put off a sober, updated look at the situation, and other than implementing a few measures here and there, basically close his eyes to the situation. To that extent, if Kim were to receive counsel from an “inner voice”, perhaps among the thoughts he might hear are the following three: 1) “Do not chase a gossamer fantasy of developing North Korea into a globally competitive, economically well-heeled country. There is a danger posed by Trump as part of larger picture of the US, a capitalist adversary seeking conquest, attempting to subordinate your smaller nation.” 2) “You have developed nuclear arsenal to a level that he has the capability and capacity to strike the US. You are genuinely defending your people from that threat.” 3) “You have accomplished what you father and grandfather strove to achieve, but were unable to reach. Honor them, by remaining on the correct path!” Moreover, Kim might consider whether Trump would be willing to follow through on threats of military action given his lack of reaction to the obloquy and invective inflicted upon him by critics. The latest vitriol from critics is the claim that Trump displayed a treasonous level of timidity in the presence of Russian Federation President Vladimir Putin at a press conference in Helsinki, Finland. Journalists asked Trump whether he confronted him with evidence from the US Intelligence Community of the country’s interference in the 2016 US Presidential Election and whether he actually believed that Russia was even engaged in that activity. Overall, Trump’s foreign policy agenda is viewed by critics as something comparable to the l’infame in late-18th century France, the effort to destroy Christian social order as a means to break from the past. In Kim’s mind, surely if Trump were as fierce as he portrays himself, critics would be hesitant to attack him such vigor. In a third scenario, Kim may have simply lost interest in diplomacy with the US. Kim fully understands that the world is a big place with may countries, with several adversaries and some allies of a sort such as China and the Russian. Yet, in real terms, Kim’s own world, North Korea, is where he is most comfortable. While at home, Kim may have become insulated in the refracted reflection of reality from that Communist country. The values and interests of North Korea may once again become the foundation upon which he will base his actions and reactions to the outside world, the “real world”, and particularly in the diplomatic process on denuclearization. Kim’s mind may not be open to moving further on the denuclearization matter regardless of what Trump is offering. Now nestled in Pyongyang, Kim is surrounded by all of its familiar sights and sounds. He is away from the grandeur, the luster, the celebrity, the energy of the Singapore Summit, and the persuasive Trump. The voices of Workers Party officials, generals, security men, business elites, and others are given greater importance as they comfort and encourage him It is nearly certain that a majority of those supporters also cannot imagine a North Korea other than the one they know now with nuclear weapons and a tough stand against the US. It all might be manifested by Kim becoming more guarded in his contact with the outside. A Possible Boost for the US Effort? Delays and missteps by Pyongyang may create the perception of the optimistic within the Trump camp that some deliberation has been underway within the Workers’ Party of Korea and among other key elites concerning denuclearization. There are undoubtedly many in North Koreans who do not believe that it would be a good path for the country to take For the sake of peace and security in Northeast Asia and the world beyond, greatcharlie also hopes that is the real cause. It is difficult to imagine at what angle Trump administration, itself, might approach Kim to effectually suggest why and how he should proceed in changing his country. 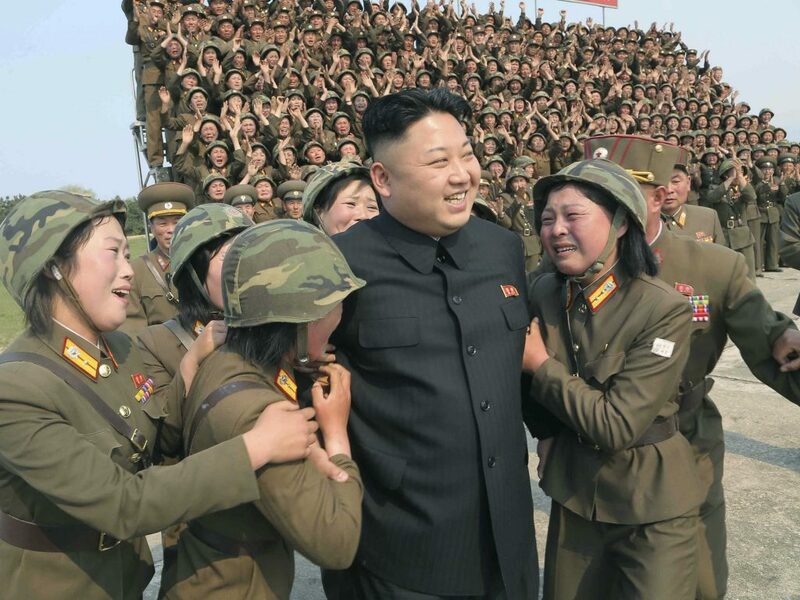 It would seem unlikely that Kim would appreciate being told how he should feel at this moment. He would surely be disinterested in hearing anyone from the US attempt to counsel him from the perspective of having been in the same situation themselves, because no US leader or official in recent times has been in Kim’s position. There is the possibility that a third party could be recruited to help usher Kim in the right direction. In a previous post, greatcharlie explained how Mongolia had moved through similar circumstances advancing methodically from a Communist system to more democratic one. With targeted US assistance, has promoted good governance and the rule of law; developed a new generation of democratic leaders; has enjoyed private sector-led growth, economic diversification, and long-term capital investment; and, mitigated transnational criminal activity, to include human trafficking, and reduced domestic violence. Bordered by Russia and China, the Mongolia has had the experience of working positively with their far more powerful neighbors while appreciating the efforts of what it calls its most important “third neighbor”: the US. Mongolia has also invested in North Korea’s oil industry. Most of all, under its present policy, Mongolia desires to see North Korea succeed in its own transition and transformation. (The Mongols could also serve as a figurative thermometer, taking independent readings of the temperature in Pyongyang toward denuclearization and economic development supported by the US and the rest of the international community.) The US State Department is well-aware of the dozens of points at which Mongolia and North Korea touch. Including Mongolia as a partner to include in the diplomatic process may make sense if Ulan Bator is at all interested. It may very well be that a decision has already been made in Pyongyang not to remain bound to denuclearization. In that case, the Trump administration cannot allow itself to fall into the unpleasant circumstance of relentlessly chases the goal of denuclearization as Pyongyang steadily and methodically moves that possibility farther out of reach. However, nothing stated by him has provided a hint that he has done so. It can only be hoped that he will not make that decision and everything done by the US will foster purposeful forward movement toward denuclearization. An incorrect decision to divert from the agreed course of denuclearization or to abandon that path altogether may be heralded as a demonstration of Kim’s boldness and fearlessness. However, that moment of actual failure would more likely be driven by trepidation of the unknown, anxiety toward a future that cannot be foreseen or ever envisioned. Despite the most optimistic hopes and projections, Trump must be ready to process in his mind what he sees to surmount what he is hoping for. Looking deeper allows one to see what is lacking. The diplomatic process with North Korea cannot sit between success and failure in a figurative foreign policy halfway house. Previous administrations believing North Korea wanted peace allowed Pyongyang to establish a pattern of success in dealing with US. One can be assured that Trump will not base his decision on an emotional response, trying too hard to understand Kim’s situation. In Act III, Scene I of William Shakespeare’s The Second Part of King Henry the Fourth, King Henry is in his palace at Westminster. It is the middle of the night, and he is working on the paperwork of the ongoing war. Henry halts he work for a moment, and, as a matter of staging convention, breaks the fourth wall by both talking to himself and addressing the audience. He speaks of his newly insomnia, and waxes on how his poorest subjects can sleep at night in their tattered beds, but weighed down by worry, remorse, and anxiety, he, the wealthy king, cannot. He posits that men in power such as him, are less content and insouciant as the needy and ordinary. King Henry states: “How many thousand of my poorest subjects Are at this hour asleep! O sleep, O gentle sleep, Nature’s soft nurse, how have I frighted thee, That thou no more wilt weigh my eyelids down And steep my senses in forgetfulness? Why rather, sleep, liest thou in smoky cribs, Upon uneasy pallets stretching thee And hush’d with buzzing night-flies to thy slumber, Than in the perfumed chambers of the great, Under the canopies of costly state, And lull’d with sound of sweetest melody? O thou dull god, why liest thou with the vile In loathsome beds, and leavest the kingly couch A watch-case or a common ‘larum-bell? Wilt thou upon the high and giddy mast Seal up the ship-boy’s eyes, and rock his brains In cradle of the rude imperious surge And in the visitation of the winds, Who take the ruffian billows by the top, Curling their monstrous heads and hanging them With deafening clamour in the slippery clouds, That, with the hurly, death itself awakes? Canst thou, O partial sleep, give thy repose To the wet sea-boy in an hour so rude, And in the calmest and most stillest night, With all appliances and means to boot, Deny it to a king? Then happy low, lie down! 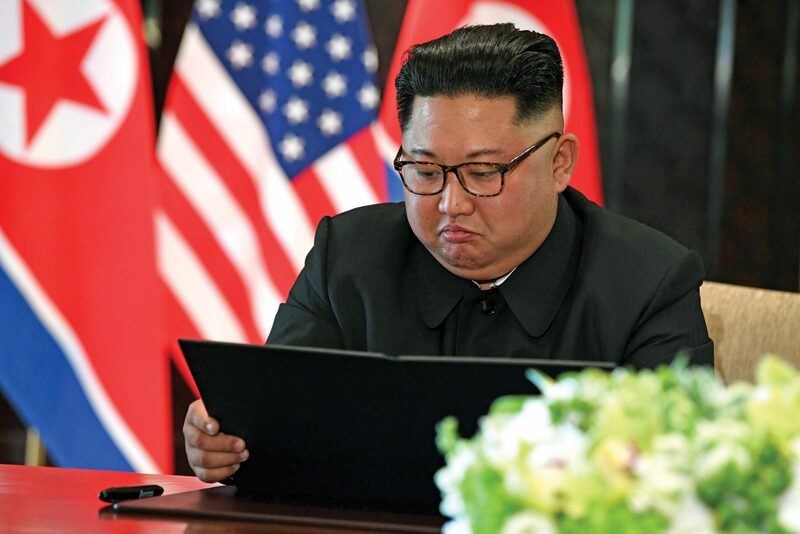 Uneasy lies the head that wears a crown.” Ensconced in Pyongyang, Kim may feel that he is either in a tough spot and under great strain or he is self-assured and feels comfortable knowing he has choices. He may have even reasoned that there is no real need to be fearful of any consequences if he takes one path or another. However, it is most likely that reaching a decision on how to proceed with the US weighs very heavily upon him. Long-practiced tactics of diversion of Pyongyang have raised their head much as a vampire with goal of sabotaging the diplomacy. Yet, that may not be indicative of a choice move away from denuclearization. Perhaps that behavior is driven by inertia and bad habit more than anything else. The Trump administration only wants to take the high road in the diplomatic process. If the desire for peace is sincere, it is hoped by the administration that Kim and his advisers in Pyongyang, will rise to the occasion. To nudge thinking in the right direction, efforts have been made to incentivize North Korea to change its economy to benefit the entire country and not just the elites. In contemplating what Kim might do, the US must remain vigilant and cautious. The administration cannot afford to become complacent even to the slightest degree. Resources have been dedicated to surveilling developments at North Korean nuclear sites. As many analytical resources as possible should also be dedicated to the discernment of signs of a reversal in Pyongyang. 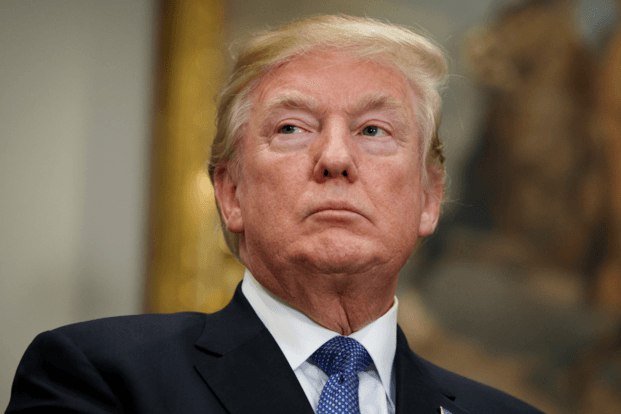 Despite the most optimistic hopes and projections, Trump must be ready to process in his mind what he sees to surmount what he is hoping for. Looking deeper allows one to see what is lacking. The diplomatic process with North Korea cannot sit between success and failure in a figurative foreign policy halfway house. Previous administrations submitting to the fantasy that North Korea wanted peace allowed Pyongyang to establish a pattern of success that very likely helped build Kim’s self-confidence in dealing with US. One can be assured that Trump will not base his decision on an emotional response, trying too hard to understand Kim’s position.